The best is to have the controller setup to EXTERNAL SPEED SENSOR. But as many of the old cars do not have any, the controller can work with the speed sensors internal in the gearbox. The reason is that the 722.6 do NOT has an speed sensor on the output shaft ! It has two RPM sensors on 2 different rotating parts in the gearbox, yes i can use them to calculate the speed of the car. But as it is not possible to calculate speed while a shift is going on, the controller can make wrong speed if a shift is not happening as expected. 1.Power up, but do NOT start engine. 4.Now you are in SETUP MENU. 5.Press Joystick down until "Speed INT/EXT"
9. PUT W/S in S position, and do point 1-8 again. An external speed sensor is absolutely to prefer, as there is some limitation on the internal speed, as the speed can not be read while shifting. "Setup Parameters" -> "Ext Speed %"
Essentially the driveshaft is turned into a trigger wheel by permanently affixing properly shaped and balanced "teeth" to the end nearest the transmission. 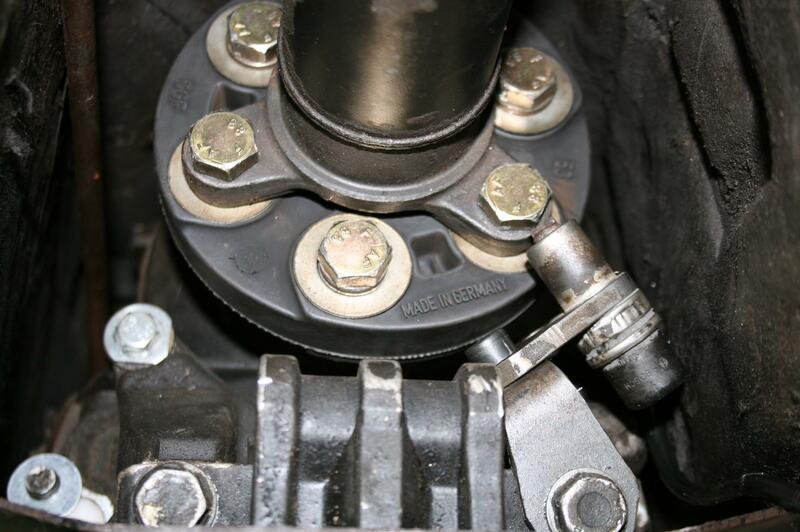 An excellent mounting point for the sensor bracket is the rear transmission mount. Everything else remains stock. In the graphic above, the purple is the stock sensor, the green are the "teeth" and the red is the custom mounting bracket. 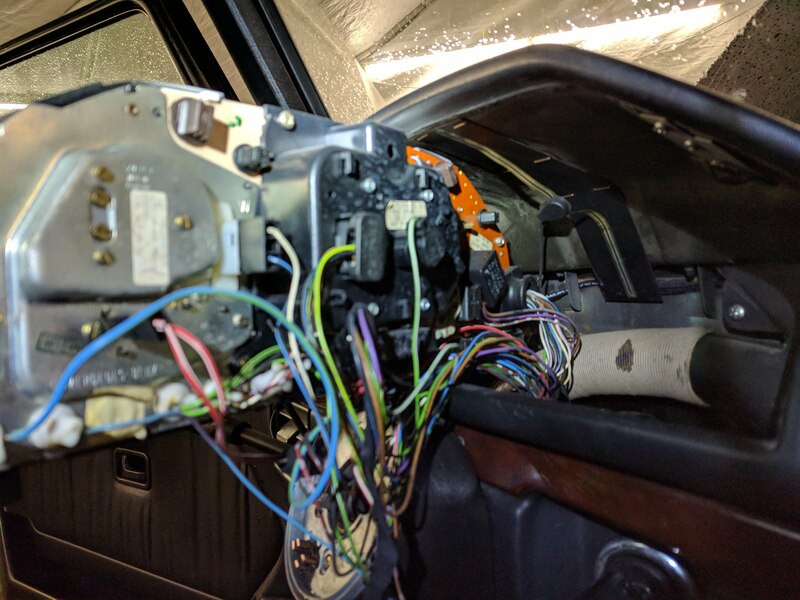 This strategy will likely be a good solution for others doing manual transmission conversions in cars with electronic speedometers. This is one way of adding an Reluctance Sensor, it can be an RPM sensor from almost any old Mercedes engine. This sensor just need Ground and connect it to the Controller Speed input. The sensor works this way, There is a magnet in the sensor, that means that it gives voltages if just a piece of metal flyes by. Here some Picture from testing the Variable−Reluctance Sensor Interface, in the Controller. It works as it should, tested +/- 0.2 Volt to +/- 10 Volt, but it accept mutch higher volt on the input. But it need to cross 0V to work, that means it would not accept 0-5 volt squre signal from a hall sensor. On the Display i am testing on the RPM input, but External RPM and Km/h input are the same. That means that the signal from an ABS sensor has to be bigger then 0.2V to trigger. But if you know what you are doing and want to change that is is possible. The way to get it to work is do a little circuit like below. 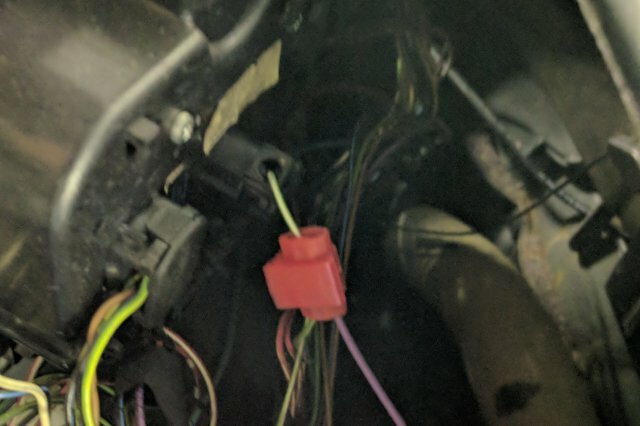 Connect it like the circuit below, and then it works, has been tested on my own car.